Hit the play button to view a demonstration. You’ll get a good picture of how this product will help you avoid legal hassles. 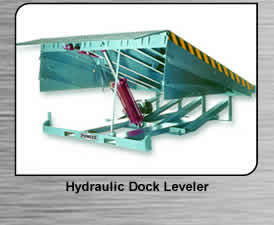 Chicago Truck Dock can provide the right dock leveler for every application and budget. Our sales staff will help you assess your needs and decide which leveler is right for you. Dock seals and shelters surround the top and sides of the dock door opening. The tight seal created prevents energy loss, reducing heating and cooling costs. Seals and shelters also help to control insects, prevent product damage, and improve safety, security and employee comfort. Chicago Truck Dock services and installs all makes and models of industrial loading dock doors.